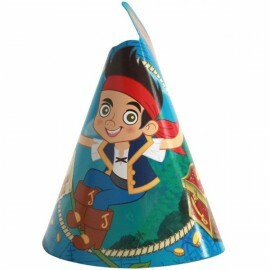 45cm Jake & the Neverlands Pirates, Happy Birthday Foil Balloon (Self sealing balloon, Requires helium inflation) Each..
Jake & The Neverlands Pirates Hats Pack of 8..
Mini Shape Jake & The Neverland Pirates Pose (Flat) Foil Balloon (Requires air inflation, heat sealing and balloon cup & stick) Each..
Mini Shape Jake &The Neverland Pirates, Pose (Inflated) Foil Balloon (Supplied airfilled on balloon cup & stick) Each.. 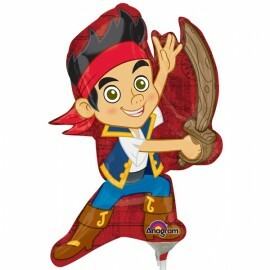 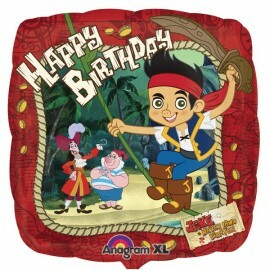 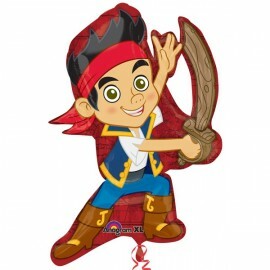 Shape Jake & the Neverland Pirates Pose 55cm x 78cm Foil Balloon (Self sealing balloon, Requires helium inflation) Each..
Treasure Chest Boxes (20cm x 13.75cm) Cardboard - Fill with BE50038 for a great effect! 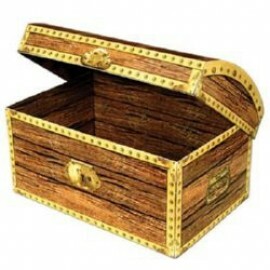 (Assembly required) Each..